Synopsys announced their new cache coherent subsystem verification solution which integrates with Arteris Ncore: Synopsys Delivers Industry's First Cache Coherent Subsystem Verification Solution for Arteris Ncore Interconnect. Arteris Ncore has been featured in a detailed article in AnandTech by Andrei Frumusanu titled, "Arteris Announces Ncore Cache-Coherent Interconnect." You can see the big link in the top left of the home page or read it directly at http://anandtech.com/show/10339/arteris-announces-ncore-cachecoherent-interconnect. SemiEngineering article: "Coherency, Cache And Configurability"
Here's a good article by Ann Steffora Mutschler that describes some of the issues of implementing hardware cache coherency using cache coherent interconnects. 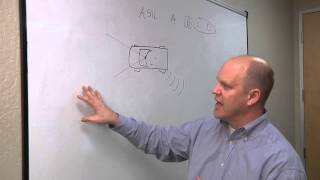 Neil Parris from ARM is quoted, as am I.
SemiEngineering has published a Tech Talk video I did with editor Ed Sperling about the ISO 26262 standard and advanced driver assistance systems (ADAS).